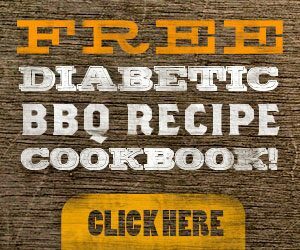 FREE Diabetic BBQ Recipe Cookbook! You are here: Home / FREEbies / FREE Diabetic BBQ Recipe Cookbook! This awesome FREEbie is back if you missed it last time we posted! Right now, you can now get a FREE Diabetic BBQ Recipe Cookbook when you join Diabetic Connect. Get recipes with less than 25 grams of carbs per servings including grilled meats and veggies, tangy BBQ sauces and salads, too!